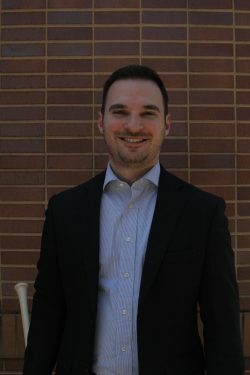 Sam Gilbertson is a sports agent registered with Major League Baseball and assists the Battle Creek Bombers by advising its players who are eligible for the Major League Baseball Draft. A former college basketball player and coach, Gilbertson is a licensed attorney in Michigan and Indiana. He is a member of the Sports Lawyers Association and coaches high school basketball. He earned his Juris Doctor from Regent University School of Law, where he graduated as a member of the Honors division, competed in national trial competitions, and received Regent Law’s awards for Best Trial Advocate and the highest grade in Negotiations. In addition to representing professional baseball players, Gilbertson also represents coaches and serves as the team advisor for the Kalamazoo Growlers and Bismarck Larks. He resides in Portage, Michigan with his wife, Anna, and their son. Willis Sports Agents was founded to offer dedicated and ethical representation to athletes striving to play at the professional level. It assists players with contract negotiations, endorsements, wealth and career management, public relations, and legal services. The agency is backed by one of the fastest-growing law firms in West Michigan, Willis Law, which has been included in the Best Law Firms list published by U.S. News & World Report and has numerous Super Lawyers® in its lineup of attorneys. In addition, Willis Law’s attorneys have been included in Best Lawyers in America® and is recognized as a National Best and Brightest Company to Work For. Willis Law has been retained by the Bombers to serve as legal counsel. For additional information about Willis Sports Agents, please visit willissports.com or email Sam Gilbertson at sgilbertson@willis.law.